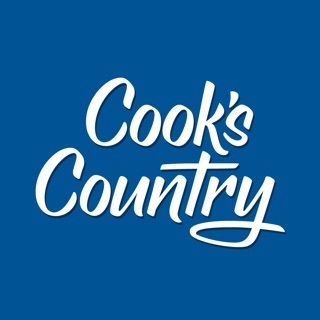 Search and discover recipes and ratings from America’s Test Kitchen, Cook’s Illustrated, and Cook’s Country, trusted by millions of home cooks. Save favorite recipes and ingredient ratings, and create convenient, centralized shopping lists. The App is free for All Access Multi-Site Members; it requires an in-app purchase for all other customers. - Create convenient, centralized shopping lists; easily add items such as pet food, detergent, etc. - Monthly subscription: $9.99/month with 14-Day Free Trial. Cancel anytime. - Annual subscription: $49.99/12 months with 14-Day Free Trial. Cancel anytime. All subscriptions start at the end of the applicable free trial period. Free trials are only available upon an initial subscription. Payment will be charged to your iTunes account after your free trial period or at confirmation of purchase, if you're not eligible for free trials. Your subscription will automatically renew each month or year 24-hours before the end of the current period, and your credit card will be charged through your iTunes account unless auto-renew is turned off at least 24-hours before the end of the current period. You can turn off auto-renew at any time from your iTunes account settings. Any unused portion of a free trial period, if offered, will be forfeited when you purchase a subscription to that publication, where applicable. 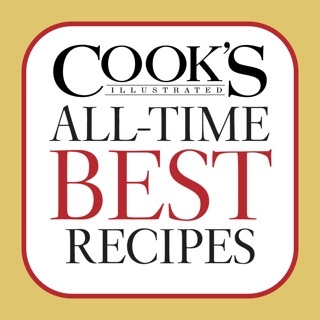 - The phone won’t go to sleep when you’re looking at a recipe; no more need to wake up the app when your hands are dirty! Ordering your ATK membership through the App ONLY gets you access to the app, not the website. It is the same price on the App as it is on the website but the app doesn’t include videos or equipment ratings. BUT, good luck navigating the website while you’re at the grocery store! I called customer service and they were completely unapologetic and said that there was no way I could get access to the other materials because I bought my membership through the App...what?!?!? The only way to get that was to pay another $50 to sign up on the website as well?! It would have cost them nothing for them to give me an online log in. I’ve never heard of anything like this. I’ve been a print customer for years and ATK has a great product, but digital access to it is so bad that I may never sign up for it again. This is SO deceptive and absolutely terrible customer service on the part of America’s Test Kitchen. Two HUGE thumbs down. 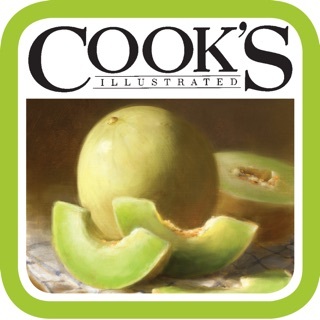 I was so happy to hear that they released an ATK app after discontinuing the Cook’s Illustrated app a few years ago. I used the CI app several times a week and I really missed it. While ATK is a TV show and CI is a magazine, they have the same content, it’s delivered via different media. The old CI app had all the recipes, taste tests & equipment reviews from CI & ATK and videos clips from ATK. This new ATK app may have an updated look, but that’s about all it has to offer. It is less user friendly than the old app and the navigation is not as intuitive. The CI app may have looked dated, but it had straight forward navigation and EQUIPMENT REVIEWS! It’s such a bummer to have to exit the app and log in from a browser to get to those reviews. Why create an ATK app that excludes some of the major content from ATK? Disappointing and deceptive. First, the annual membership on the web site was cheaper then the app. After purchasing this from the app, I noticed and reached out to the support e mail from the app. They responded as : “ Since purchase was through Apple store we cannot do anything”. They reported that thru could not even cancel my membership as I was in my trial period. If this is the case, what is the use of the “ support” link in this the app? . I also agree with the previous reviewer that app gives no access to videos, equipment reviews etc. They may be good in the kitchen but useless and deceptive in customer support. I not only would not recommend this app to anyone, but I caution against trying it for free, as it locks you in, to the annual membership ( despite their written promise for no obligation).